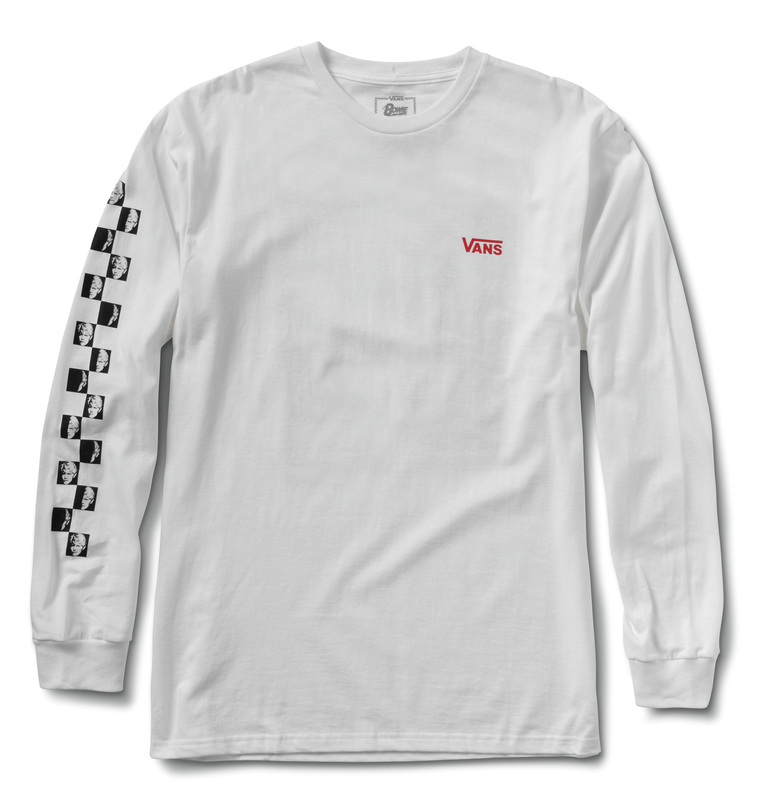 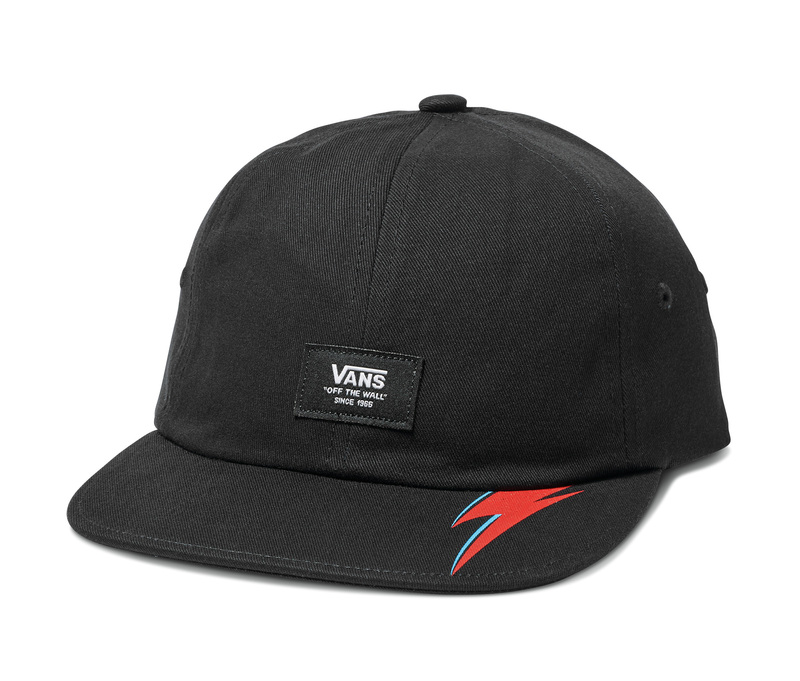 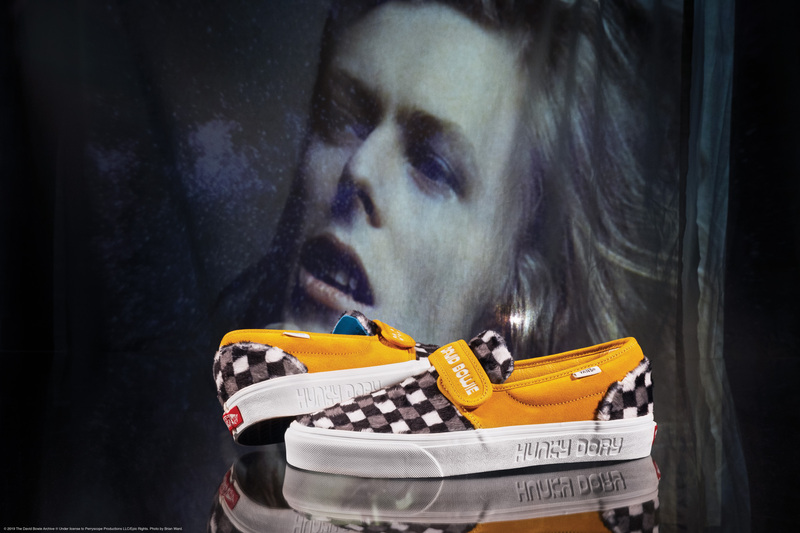 In tribute to the late rock legend David Bowie, Vans is releasing a collection that includes footwear, apparel and accessories. 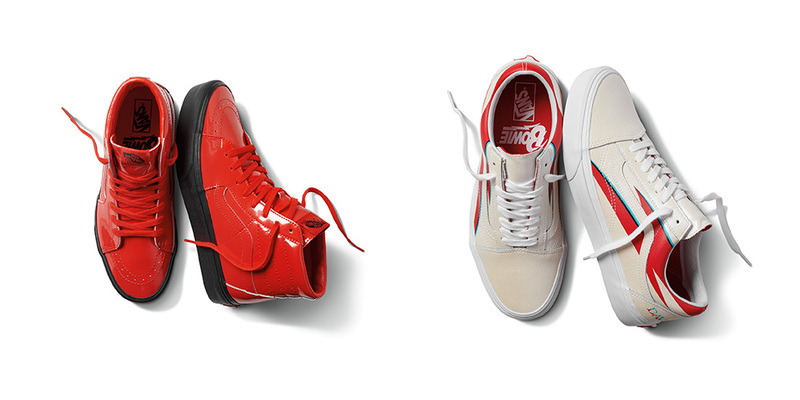 The sneaker styles in particular, are inspired by some of the artiste’s most influential works throughout his career. 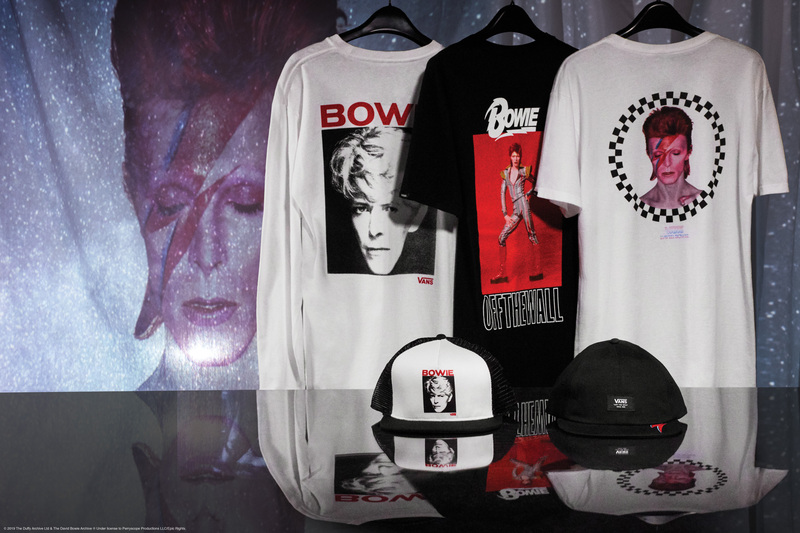 There has been a lot of buzz around this collection recently, and now it’s finally here! 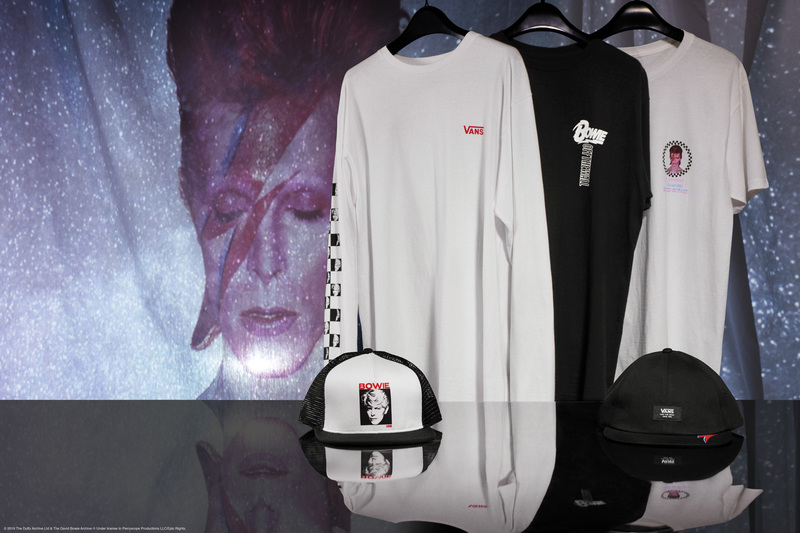 Have a look at what this collection has to offer down below. 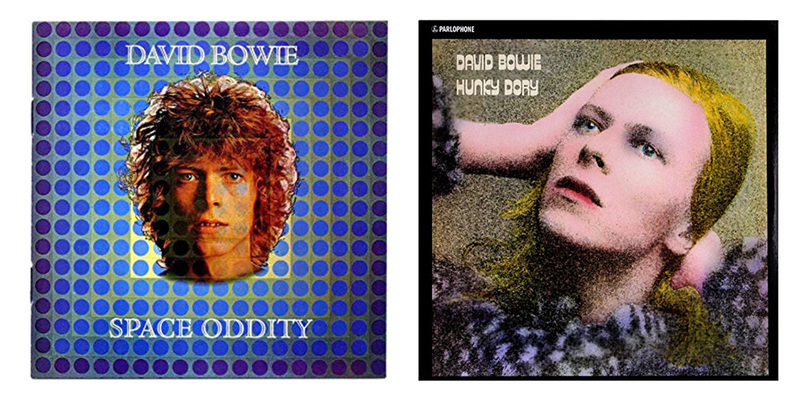 Era draws inspiration from Bowie’s first hit single, Space Oddity, featuring various shades of green and blue, as well as cylindrical shapes, all matching the album art cover. 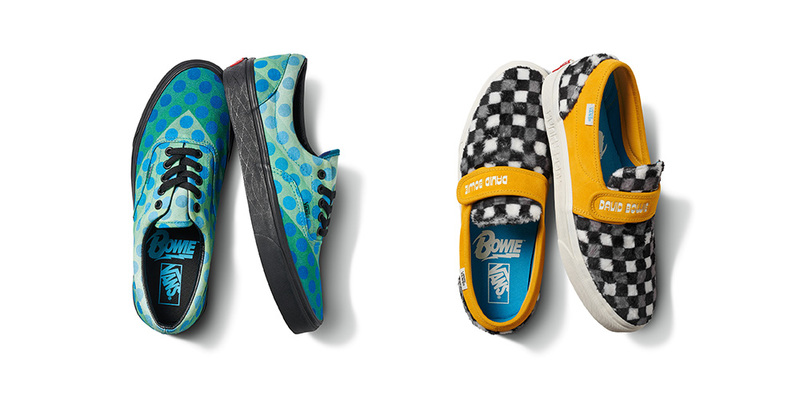 Reminiscent of the coat the artiste wore on his Hunky Dory album cover, the fuzzy checkerboard uppers take centre stage on the Slip-On 47 V design. 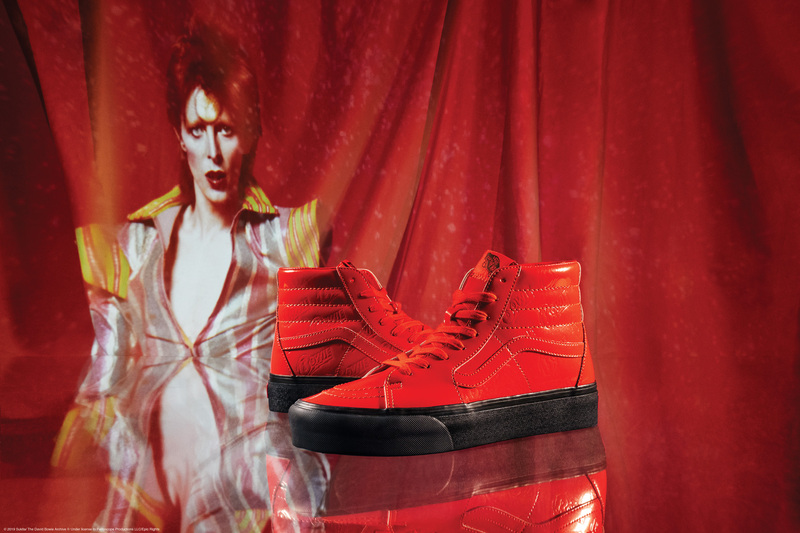 With sizes for both men and women, the Sk8-Hi Platform 2.0 pays tribute to Bowie’s alter ego Ziggy Stardust, and is a bold pair decked out in red patent leather and can be rocked by anyone! 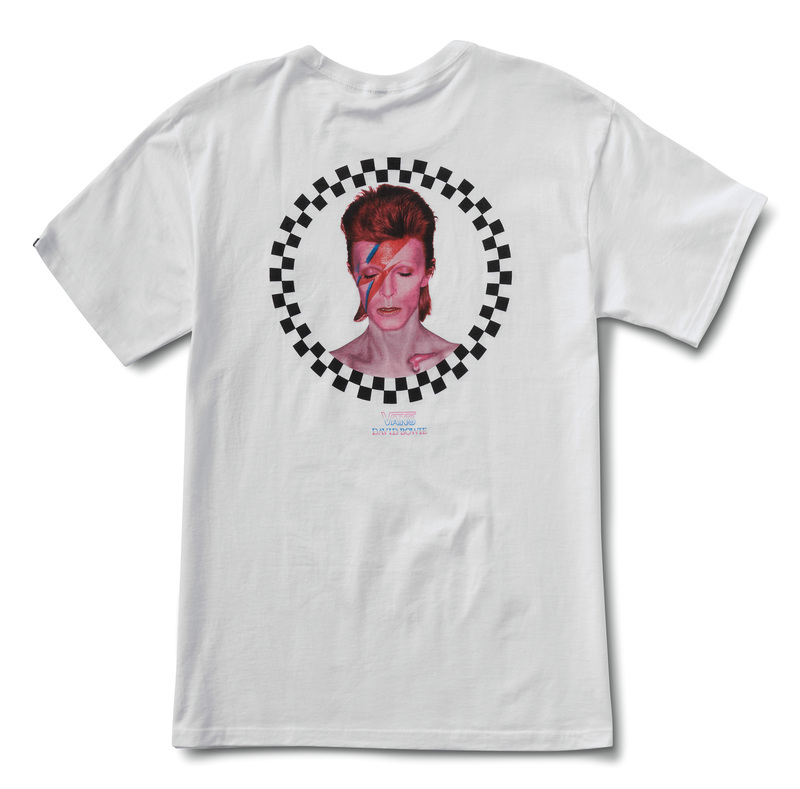 Old Skool is dedicated to his Aladdin Sane album, and needless to say, it includes the iconic red and blue lightning bolt that Bowie had on his face in the album cover. 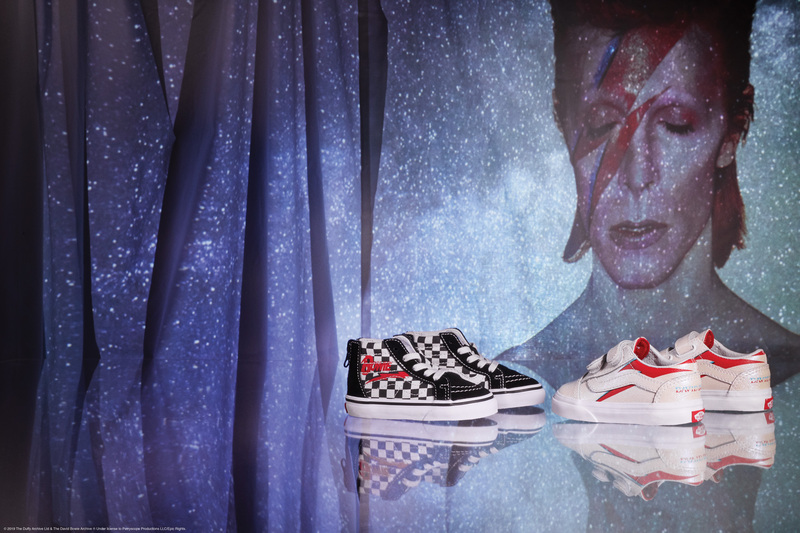 Sk8-Hi brings the checkerboard pattern from Hunky Dory and the lightning bolt from Aladdin Sane together in one design, giving you the best of both worlds. 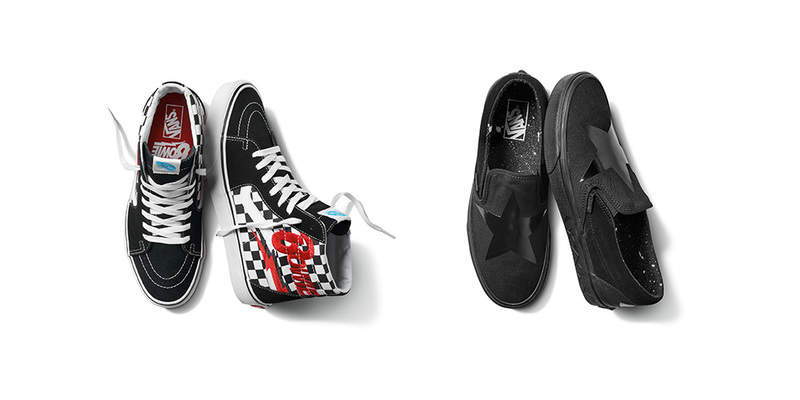 A large black star is highlighted across the Slip-On, a tribute to his last album, ★ (Blackstar). 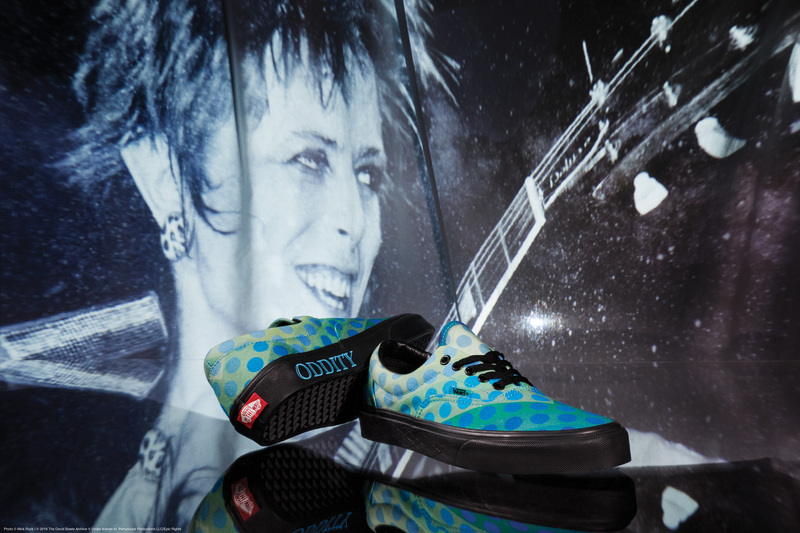 The pair is then completed with a galaxy of stars on the footbed, a tribute to the legacy Bowie has left behind. 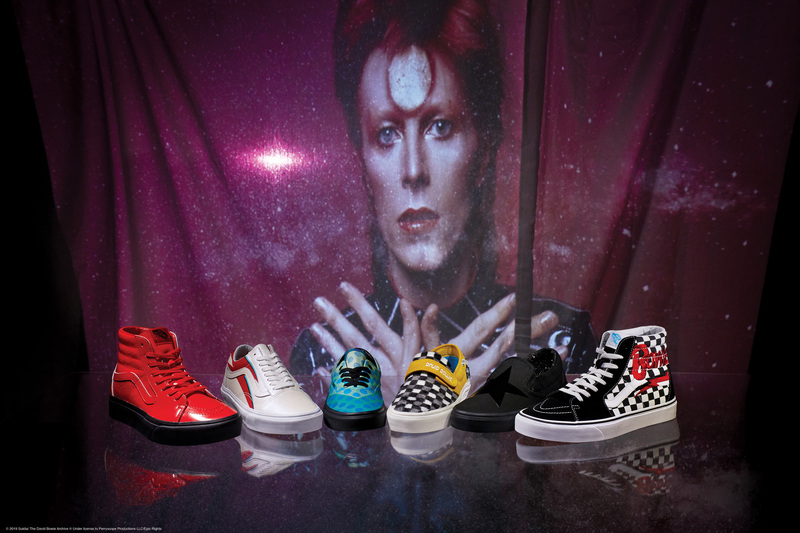 Little David Bowie fans would also be excited to know that there’ll be two sneaker styles for them that match back to the designs seen on Old Skool and Sk8-Hi. 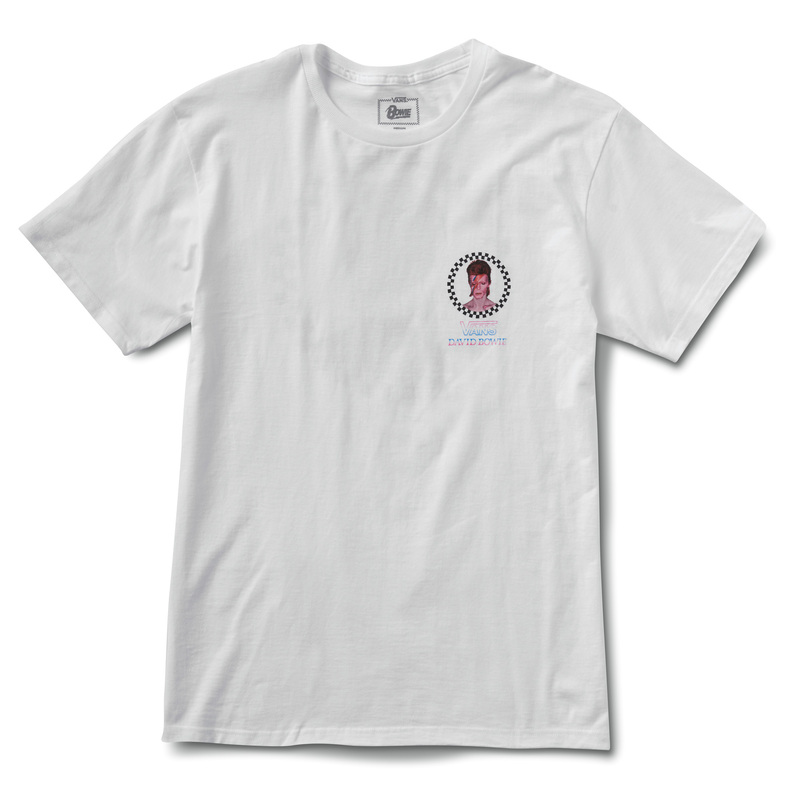 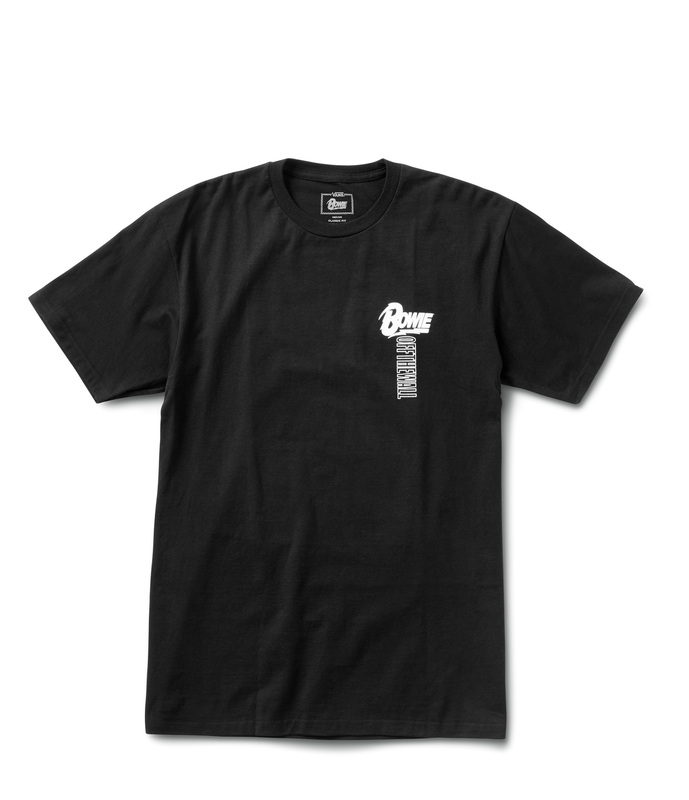 To top it all off, there’ll also be apparel and accessories! 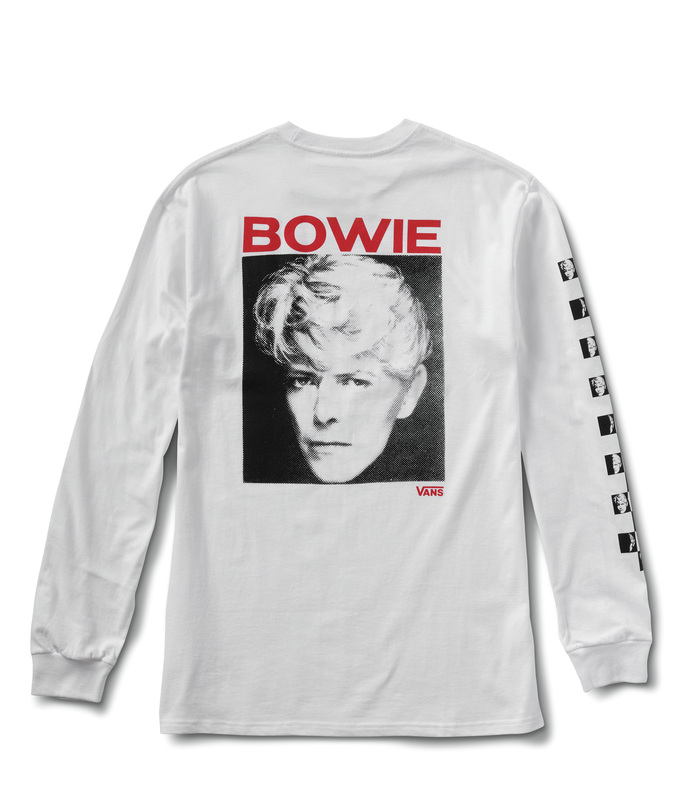 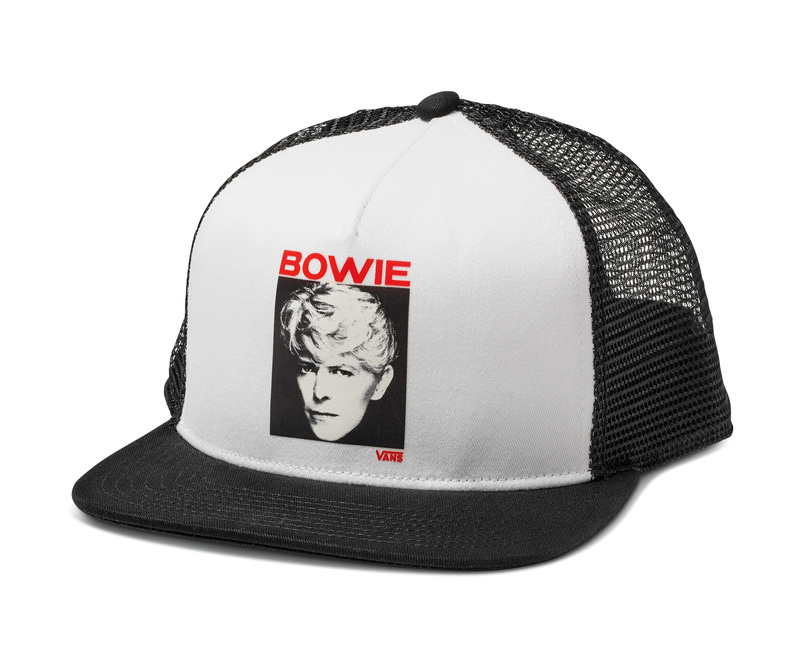 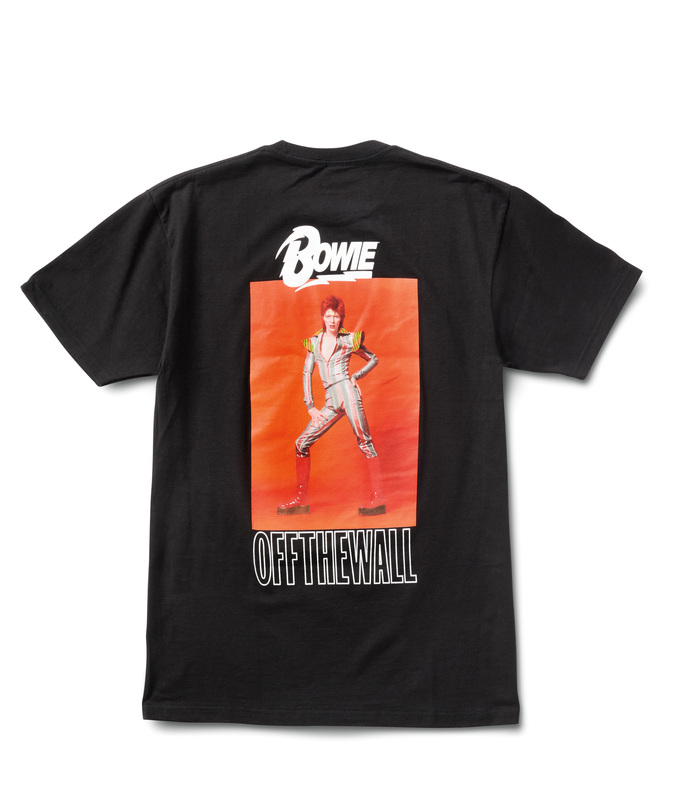 The front designs of the clothing items are kept simple with few details, but the back designs will capture your attention instantly with huge images of Bowie, a must-have if you’re a huge fan. 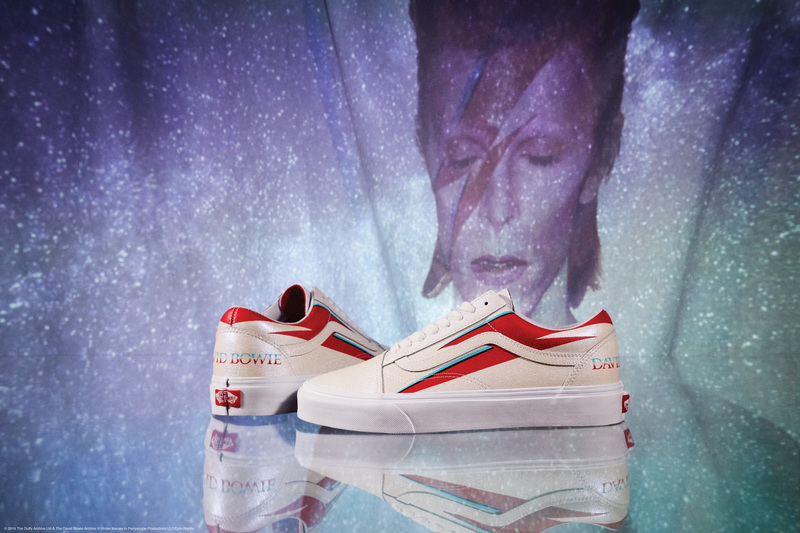 The Vans x David Bowie collection will be available for a limited time at select Vans retail stores at ION Orchard and VivoCity, and selected styles at Vans Bugis+ from 5 April 2019.